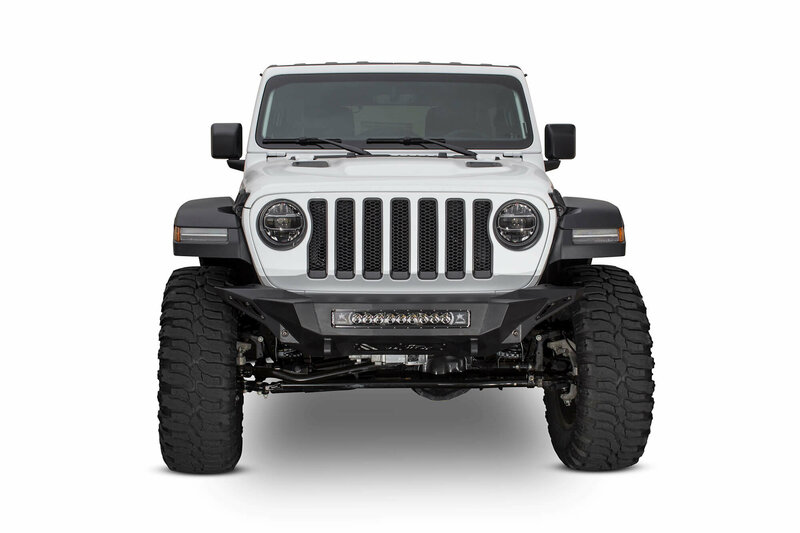 When taking your Wrangler JL out on the trails you want the best front bumper in terms of protection and functionality. 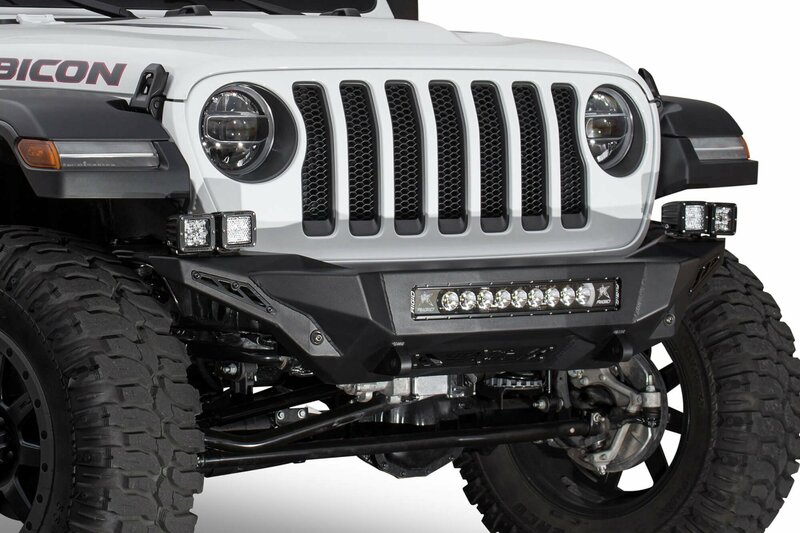 The Stealth Fighter Front Bumper gives you both with a strong radius plate steel construction, high angles & options to mount lights to cut through the darkest of nights. 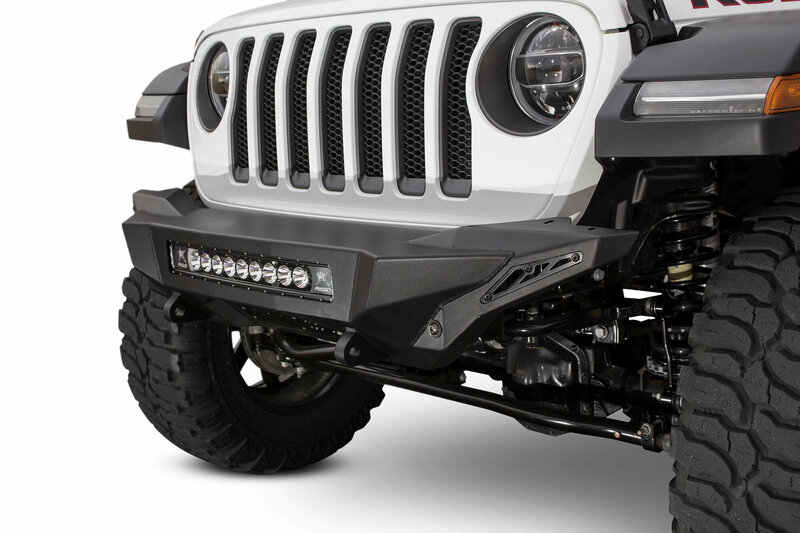 Two reinforced Clevis mounts that accept 3/4" d-rings to give you extra recovery points plus a durable powder coat make this bumper a great addition to any Jeep enthusiast arsenal. 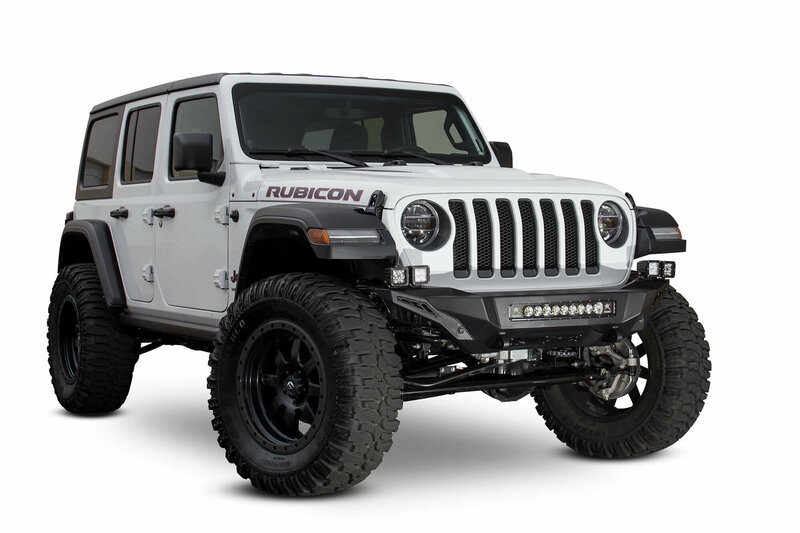 Features: A light bar cut out so you can fit a 20" LED light bar or 5 cube lights in to help light up those trails at night. 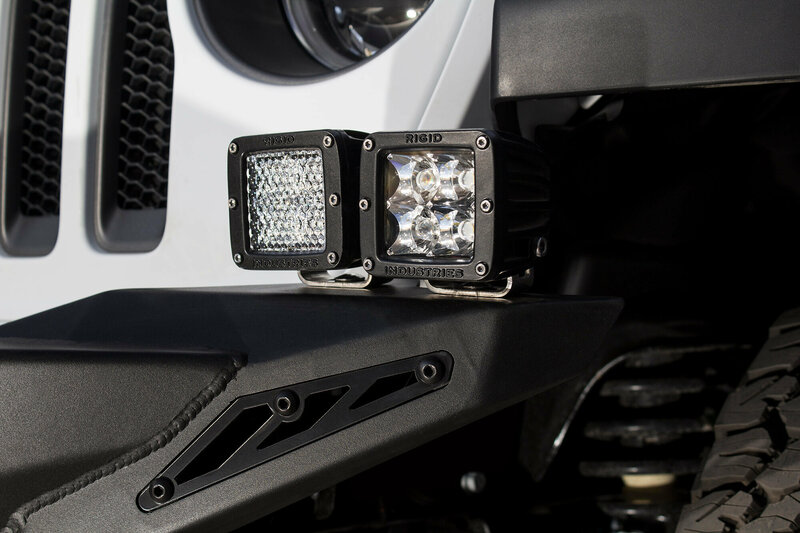 High angled corners for better approach angles as well as two additional light mounts on each corner for more lighting options. D-ring mounts to accept 3/4" D-rings for recovery points. 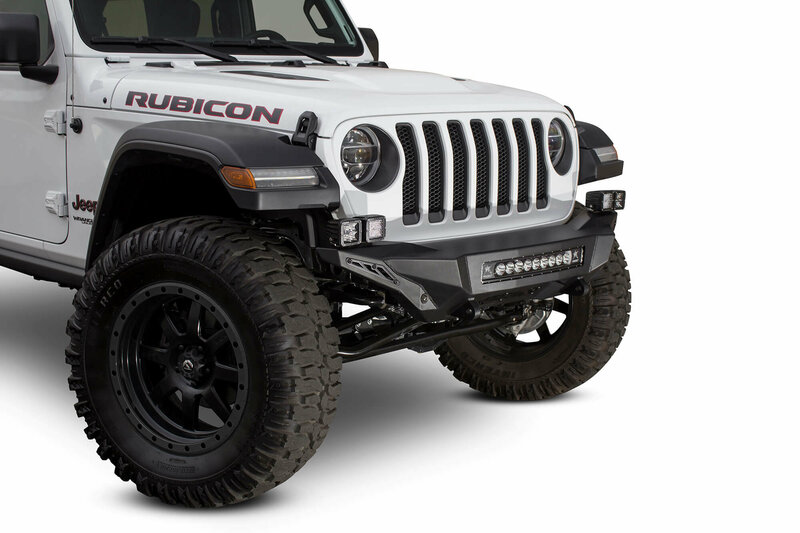 Construction: Made radius plate steel for strength and durability that is then powder coated to prevent corrosion so your bumper will last and stand up to the rugged out doors. Proudly Made in the U.S.A. 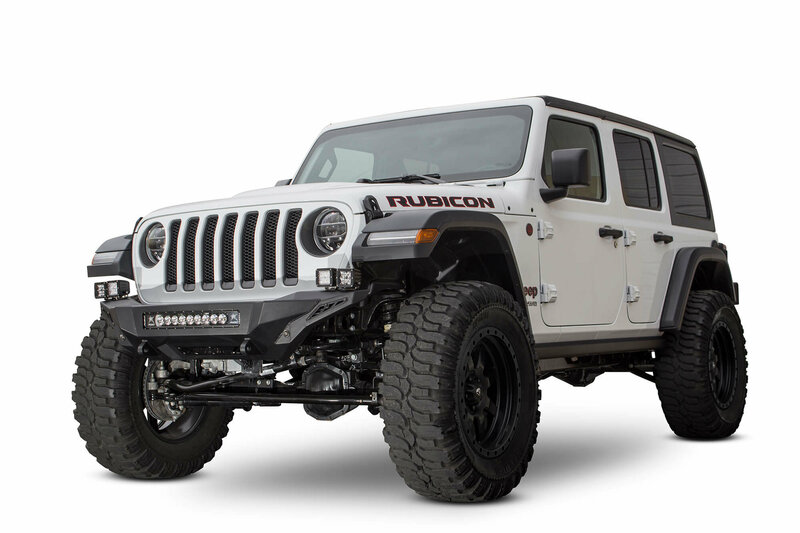 Installation: Simple bolt on construction that may require minor drilling for a fast quick install so you can get out and conquer the trails with your fellow Jeep buddies.